Money makes all the difference. Back in the 1990s, when I was travelling the country reviewing regional theatre, the evidence of years of underinvestment could be seen on almost every stage. It could be seen in the siege mentality that came from hanging on too long by the fingertips. No wonder midway through the decade Philip Hedley, then artistic director of Theatre Royal Stratford East, compared working in regional theatre to working in a clifftop hotel about to fall into the sea. But when in 2000, as a result of the Boyden report, the then Labour government injected £25 million into regional theatre the result was visible long before any of the money actually reached the venues. The news created an instant psychological lift that put a spring in the step of those working in theatres outside the capital and made programming bolder, with the result that productions were more creatively risky. So just think of the opposite psychological impact that a sustained squeeze on subsidy and increased cuts to local authority funding are having now. Arts Council England’s last national portfolio organisation funding round may have gone some small way to righting the long-term imbalance between London and the rest of country that had been allowed to develop. It was something the funding body’s first chair, John Maynard Keynes, talked about when he warned against “the excessive prestige of metropolitan standards”. But the years of underfunding regions in between – compared with the money injected into London – take their toll. A little more funding won’t make up the difference. It is far too soon to say the curtain is coming down on regional theatre, which over the last 35 years has proved resilient despite commentators continuing to write its obituary. But as Jonathan Church observed in The Stage last week, there are warning signs ahead, including the report of a drop in regional theatre attendance . It’s worth remembering that for many, a trip to the theatre will take a sizeable chunk out of their weekly budget and there will be resistance to rising ticket prices . As Church rightly observes: “London is a country all of its own.” Indeed plenty of theatregoers in the capital will think nothing of shelling out for premium tickets costing upwards of £100 each. Regional theatre faces other challenges. It is told to diversify both the work and audiences and at the same time it is also told it must diversify income streams – which means selling more shows to the people who are already buying tickets. These are the affluent, retired baby boomers who may not be overly affected by small rises in ticket price but who may need coaxing into taking a risk on more adventurous and diverse programming. There is no such thing as a wrong audience, the phrase ACE used back in 2008 to explain its withdrawal of funding from the Northcott in Exeter. There is simply an unserved audience and one that has not been exposed to a different kind of work. I didn’t like kimchi when I first tasted it; now I’m a fan. In addition, a lot of buildings now have many more people on the payroll than they did 25 years ago. In some cases, it makes them run more efficiently – and everyone working in theatre, whatever the role, is likely to be overstretched and underpaid – but it means that theatres have many more overheads than they did when facing the funding crisis back in the 1990s. Smaller, leaner organisations are in a better position to thrive if the worst happens. 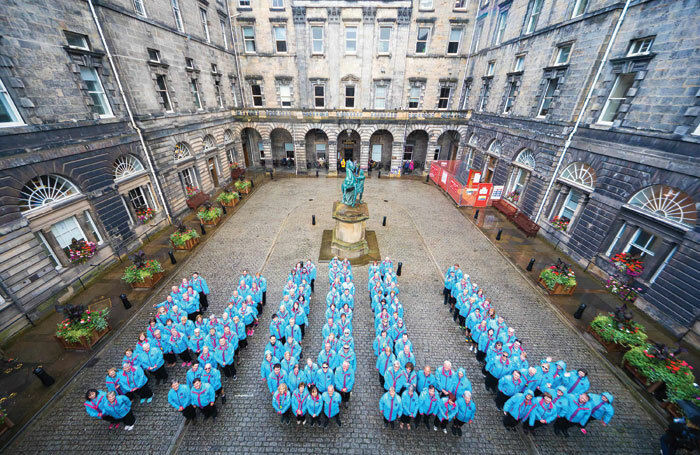 I understand why the government created a new fund to emulate the success and halo effect of Hull City of Culture  on smaller towns and cities across the country. But you need the infrastructure in place to deliver those initiatives. I wonder whether you might achieve the same, or more, by putting the money directly into the buildings that serve those local communities. Regional theatre is capable of delivering so much more than it now does if only it had more secure funding over a longer period. With cuts from local authorities, rising costs and standstill funding, theatres around the country are forced to firefight every day. How much better it would be for everyone if they could instead concentrate on being the creative engine, not just for a city but for an entire region.